The Little Mermaid Legacy Collection Review & Giveaway! - Sam Enjoys & Shares! Home » Giveaways & Contests » The Little Mermaid Legacy Collection Review & Giveaway! I received The Little Mermaid Legacy Collection CD as a member of the Entertainment New Media Network. No further compensation was received and all opinions are my own. The Entertainment New Media Network is also offering one lucky Enjoys & Shares reader a copy of The Little Mermaid from the Legacy Collection CD, to enter the giveaway see details after the album trailer. I have fond memories of The Little Mermaid and the music from younger years. When I had the opportunity to review The Little Mermaid from Legacy Collection CD, I jumped at the chance. I haven’t heard this music in years, but I remember the uplifting crowd pleasers like Under The Sea and Kiss The Girl with fondness. The Little Mermaid Legacy Collection is a two CD set packaged in a beautiful CD-sized hardcover book. The book is lovely, it is full color and contains illustrations from The Little Mermaid, song lyrics and extensive liner notes about the film and music. Overall, I am really impressed. The soundtrack music is actually better than I remember and is expressive of a range of moods–dramatic, comical, romantic, wistful and more. I highly recommend this for fans of The Little Mermaid of all ages. This giveaway is open to US residents for shipping reasons. According to the sponsor, the prize will be sent within 4 – 6 weeks of the giveaway closing date. If it comes to this blogger’s attention that the winner of this giveaway has won on an additional blog for this same prize, this blog reserves the right to choose another winner. Amazon affiliate link to follow. If you click on the Amazon link and make a purchase, Enjoys & Shares receives a commission. 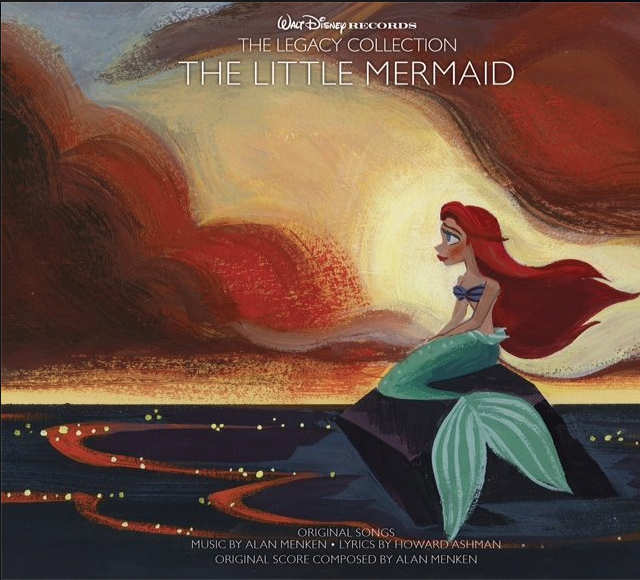 The Little Mermaid Legacy Collection is available at Disney Music Emporium and on Amazon (see product listing for The Little Mermaid).